Jeff thought life on a space station would be a great adventure. Boy, was he wrong! His parents have no time for him, the captain has no use for him, and his weird robot caretaker has no tolerance for him. Michael J. Daley has concocted a rare treat: a genuine science fiction novel for younger audiences. 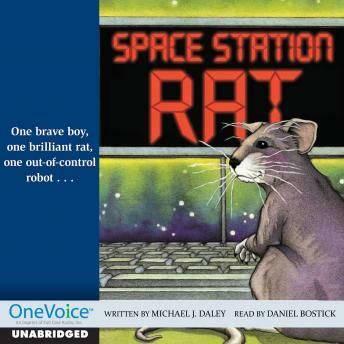 Humorous, exciting, and touching, the adventures of Jeff and Rat will delight anyone who has dreamed of life in outer space.